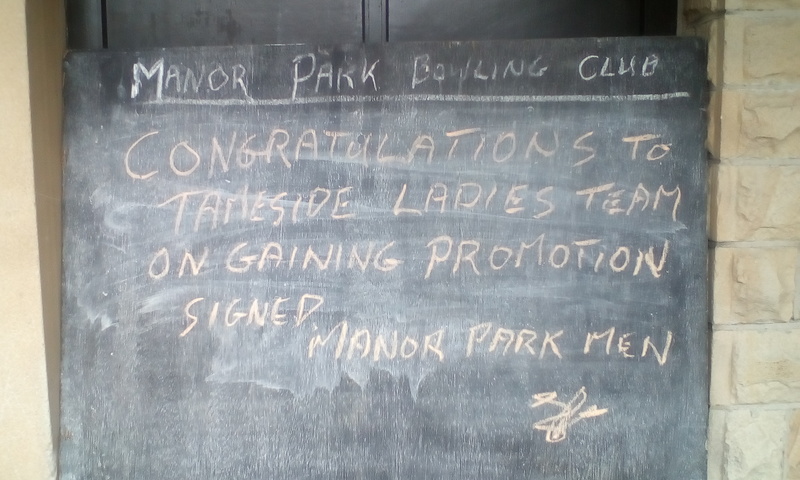 Congratulations to the Manor Park Tameside Ladies team who secured promotion to the second division by just one point in a thrilling end of season away match against Haughton Green earlier tonight. The team won 4 of their games but importantly secured 3 additional points by winning the aggregate score, picking up 9 points in total. 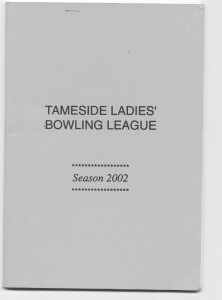 The last time the team was in the second division was 2002. High Peak Mixed Pairs. 15 August. Manor Park v Fairfield Postponed. 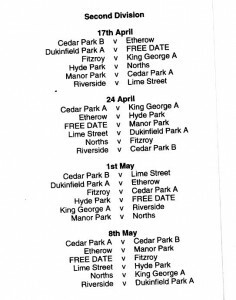 Both the fixtures and results can be found on our website. 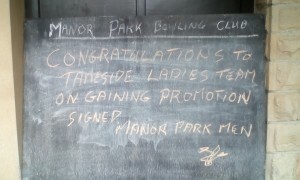 Tameside Ladies picked up a valuable 10 points tonight against S.I Hyde Park moving up to second place in the third division. With just 1 match left to play the team are well placed for promotion, but can’t take anything for granted. Looks like it’s going to go to the wire. 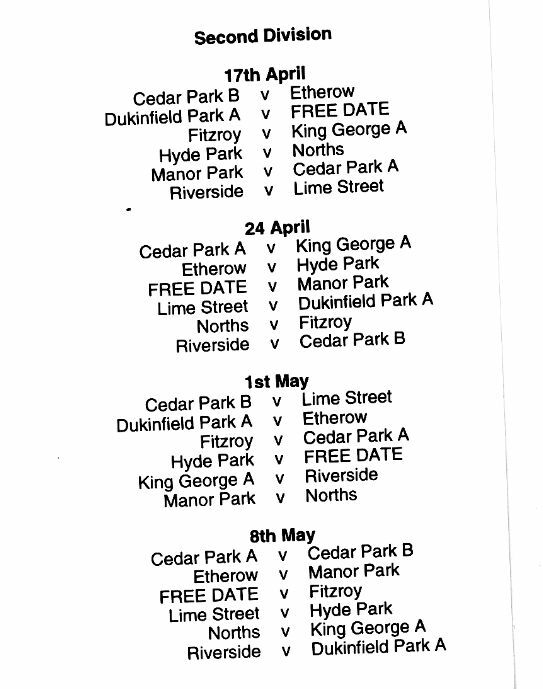 Both the Semi-finals and the final of the Harold Ingerson trophy will take place on Sunday 3rd September at Manor Park. 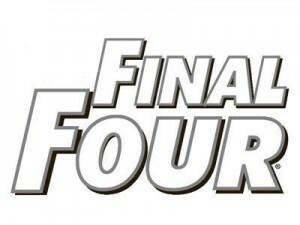 The Semi-final matches will commence at 11 am and after a short break the final will take place bringing to an end what has proved to be a very successful and enjoyable competition. Come along for what promises to be an exciting day. A county bowls final was abandoned after an argument erupted when a player appeared to headbutt an opponent, who fell and broke a finger. 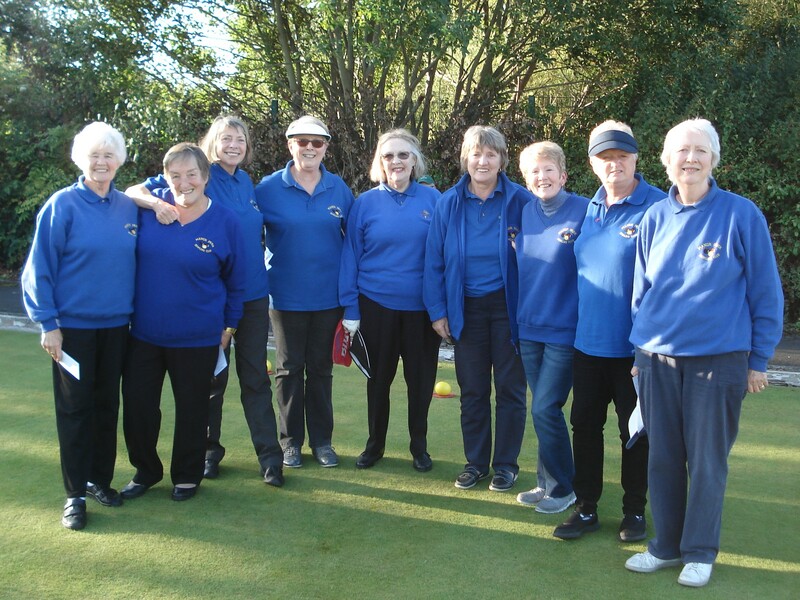 The Hampshire County Men’s Final between Southsea Waverley and Boscombe Cliff was held in Southampton on Sunday. A Boscombe player squared up to an opponent after a dispute over “bowls etiquette”, reports the Bournemouth Echo. Click here for the full story from the BBC website. Don’t forget that both the fixtures and results can be found on our website. 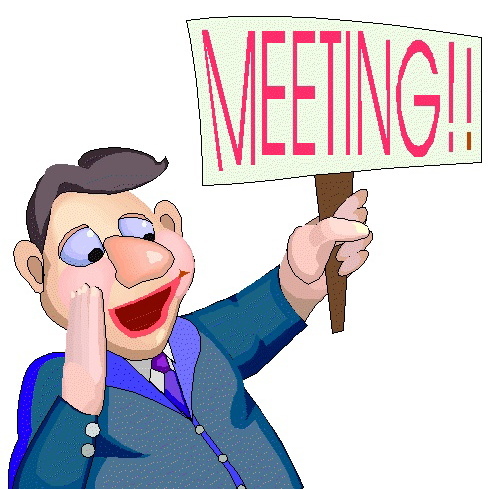 Click here for a copy of the minutes from the officers meeting held on 24th July 2017 held at the Rose Green Club. The team were in great form, beating King George B team by 13.5 – 3 on 2nd August. 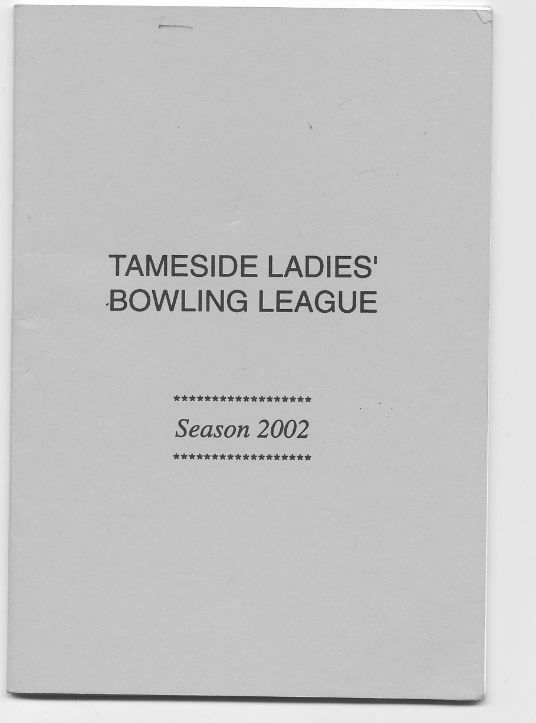 We had 7 away winners (10.5 points) and won the aggregate by 179 – 171 (3 points). Keep it up everyone!